Whether your Easter Sunday starts with Easter baskets, worshiping in church and teaching a Sunday School lesson or a large family gathering and dinner, games can help remind us of the meaning of Easter and bring friends and loved-one together to laugh and play can make this an Easter full of memories. 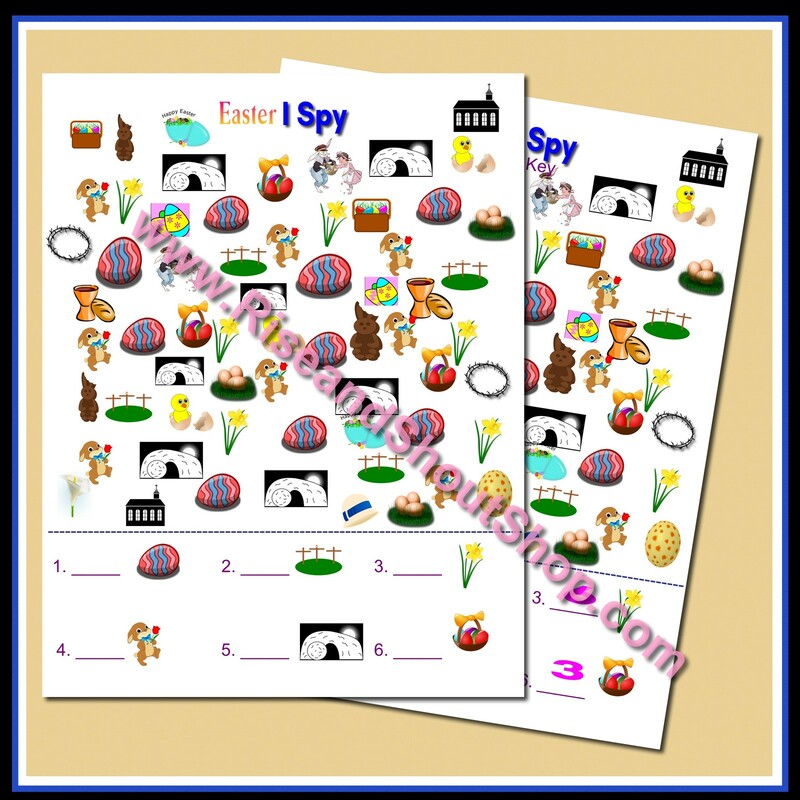 To help with make your Easter special, I've made an Easter I Spy Freebie. (Includes one I Spy sheet and answer key) You may also like the Symbols of Christ Easter Shout Out, Easter Shout Out or Spring Shout Out available in my shop. 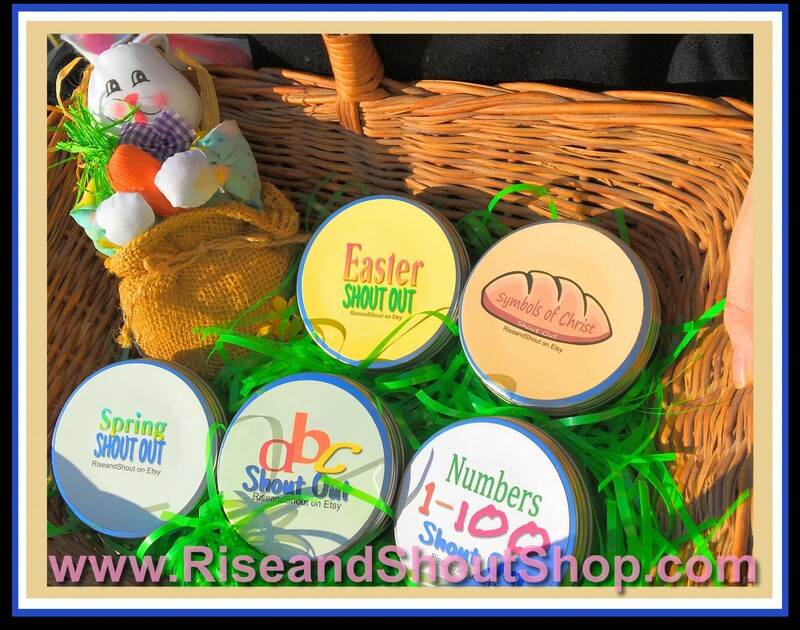 The many learning games can also be a fun addition to an Easter Basket. Get 30% off now with EASTER30. Please pin and share. Don't miss new products, sales and more. As a mother of 5 kids at home, ranging from 2 years old to teen, I keep hopping as a taxi driver, teacher, consultant, personal trainer, planner, nurse and entertainer. I love being with my family, having family dinners and those choice moments and activities that bring us all together. I created Shout Out games as similar style games were one of the few games that our whole family could play together. It truly spans the ages. I also saw so much potential in using games to learn-as-you-play. (Let's face it, I don't want to do sight words flash cards again with my two youngest. There's got to be a better way, and now there is!) I love languages and I've studied Spanish, Russian and Korean. I am an active member of The Church of Jesus Christ of Latter-day Saints. I love trying to make holidays special (love last minute instant printables). My kids have all needed some speech therapy. As you can tell, most of my games and inspiration come from my interactions with my family. One moment it may be preschool, the next an upcoming holiday, or some days its working on speech therapy homework. Please let me know what games you would use in your home, family, class or life.